After three surgeries to open up the blood vessels feeding his heart and three more for the arteries of his legs, Douglas Cummings knows the routine. Its not an unpleasant procedure at all, says the 63-year-old Californian. They administer a tranquilizer. The doctor makes a very quick puncture in the groin. You feel a little sting. Its not much more than a shot. The doctor threads a small, limp balloon into the clogged artery and inflates it to flatten the fat lining the vessel wall. Its an easy, one-day operation. 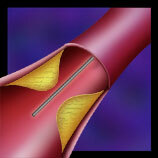 But for the majority of cardiovascular patients, this procedure, called angioplasty, is merely a stop-gap measure. It widens the narrowed passage, but it doesnt get rid of the blockage thats already there, and it doesnt stop further build-up. Within six months, 10 to 30 percent of patients require angioplasty again. As the fatty plaque deposits in the vessels increase, patients may even require the far more drastic open-heart surgery. And all too often, its just a matter of time before a chunk of plaque from one narrowed artery breaks off and completely stops up another artery, prompting a heart attack or stroke. Thats why Cummings signed up to try a new therapy this timea therapy that scours the insides of clogged arteries. Cummings found out about the treatment from a medical journal. He spent most of his career in medical imaging and keeps up on new trends, so he paid attention when he read about the possibility of using a drug and a laser to destroy the plaques in arteries. He called the company that makes the drug, Pharmacyclics, a firm of 150 employees in Sunnyvale, Calif. Pharmacyclics told Cummings to call Stanford Medical Center, where they were just beginning clinical trials for the new therapy. The therapy, called photoangioplasty, is no more invasive than standard angioplasty, but early research shows it could be far more effective. After Cummings gets a dose of the drug shot directly into his veins, the drug selectively sticks to the plaques on vessel walls. A doctor slips a fiber-optic laser inside the vessel and illuminates the plaque a bright red. Voila! The light sparks a surge of rapid reactions as the drug catches the energy, excites nearby molecules and dissolves the plaque. Mahmood Razavi, the Stanford radiologist treating Cummings, says photoangioplasty is the first method to show any breakdown of fat deposits. Whats even more exciting, say researchers at Pharmacyclics, is that the photoangioplasty theyve done in animals shows it may keep vessels from closing again after treatment. But despite the excitement surrounding photoangioplasty, Razavi wouldnt use it on himself. The therapy is still too green, he says, and he doesnt understand well enough why it sometimes works, and sometimes doesnt. He says he doesnt want to hype the fledgling procedure because photoangioplasty, though often effective, is still largely a mystery. Cummings enrolled in the phase I trial of the drug, which concluded in August 1999. The study included 47 patients and was strictly a safety test limited to vessels of the legs and extremities. According to the results, the drug is safe. Pharmacyclics launched a far larger phase II study, encompassing 375 patients at 18 sites nationwide, to look at the effectiveness of the treatment. At the same time, Pharmacyclics launched a small phase I safety trial for the vessels of the heart. So far, says Daniel Adelman, the director of clinical development at Pharmacyclics, weve treated a few hundred patients. Theyll need more; the Food and Drug Administration (FDA) routinely requires phase I, phase II and phase III trials before it will approve a new procedure. When the phase II study concludes at the end of 2001, Adelman says, theyll decide how large phase III will be. The clinical studies are expensive. But Pharmacyclicss investors are willing to foot the bill now, clearly hoping for rich returns later. Coronary heart disease is the leading cause of death in the U.S. A procedure that replaces or augments angioplasty, performed about 750,000 times per year in the U.S., would be lucrative. For Cummings, it would mean a therapy that gets closer to the root of his disease. Fatty build-up runs in his family. Both parents died of heart disease and two brothers have had heart operations like his own. For 15 years hes been fighting the disease by doing everything right�eating healthy, biking or walking four to five times a week, taking cholesterol-lowering drugs and avoiding stress. If it were not for the changes in my lifestyle, I seriously doubt I would be around to talk about it, he says. But in the past year, Cummings started to feel pain in his legs. The pain is caused by fat depositing on his leg arteries and constricting blood flow. The first balloon angioplasty on his legs lasted only six months before the doctor had to go in again. Cummings has increasing reason to find a treatment that sticks. The dark green drug, texaphyrin (TEX-a-frin), was first synthesized about 12 years ago in a University of Texas at Austin laboratory. Its maker, Jonathan Sessler, knew from the start it had medical potential. As a graduate student at Stanford, he had worked on similar molecules that reacted to light, including green chlorophyll in leaves that catches the energy of the sun. He knew that a class of these molecules possesses an uncanny ability to seek out diseased tissue. This class of light-reactive (or photosensitive) drugs tends to gather in tumors, and scientists had been trying to use them to treat cancer since the 1940s. Finally, in December 1995, the FDA approved use of the first photosensitive drug, Photofrin, for use against cancer of the esophagus. And since 1998, Photofrin has been used against certain types of lung cancer. The cancer therapy, called photodynamic therapy, works. The drug travels to the tumor and, after laser-activation, kills the tumor cells. The problem with the first and only approved photosensitive drug is twofold. First, it makes the skin so sensitive to light that patients cant stand sunlight or bright rooms for six weeks after therapy. Second, the green laser light needed to activate the drug does not penetrate very far into human tissue. The drug can only be used against tumors just under the skin or in easy-to-reach spots. hole in the middle. The trade name is Antrin. Sessler explained that green and blue light, to which most photosensitive drugs respond best, can pass through only a thin layer of human flesh. In particular, they dont pass through blood. Red blood cells absorb blue and green light, making it impossible for most photosensitizers to do much work in deep or bloody places. Texaphyrins, on the other hand, respond best to a specific hue of red lightjust the right type of light to pass through blood. As the oily texaphyrin syrup slips into Doug Cummings veins, it is swept into the stream of dark, oxygen-poor blood heading back to the heart. It cycles through the chambers of the heart and the lungs, and exits with the bright red oxygen-fed blood into the largest artery in the body, the aorta. Here it encounters for the first time what look like streaks of fat along the aortic walls. Almost from birth, every human body begins to accumulate these fatty streaks along the vessel walls. By age 30, fully one-third of the aorta is covered with them. Fatty streaks are often harmless, and many will never develop into the sticky, hardened plaques that plague us later in life. In the larger arteries, the streaks will certainly never bother us. But in the narrow, delicate vessels lining the heart and the thin, long arteries of the legs, they may. Scientists dont really know why some fatty streaks, and not others, develop into plaques. Once in the bloodstream, texaphyrin swims well in the water-based plasma, but it would rather be swimming in oil. The viscous syrup that Cummings saw naturally tends to travel with the greasier parts of the blood. Wherever fat goes, it goes, says cardiologist Stanley Rockson, head of the phase I trials at Stanford Medical Center. And wherever fat stops, it stops. The arterial wall is made up largely of two types of cells. The inner cells touching the blood are lining cells. They are flexible, hardy, general-purpose, forgiving, and fill up the space theyre given. These inner cells are the vessels basic covering, like living wallpaper. Just under the wallpaper cells is a layer of smooth muscle cells. They are smooth, for they are the conduit of flowing liquids. They are muscle, for they expand to let out heat and contract to stop blood loss at an injury. 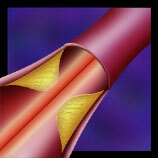 Smooth muscle cells help the heart balance the flow of blood and oxygen to the parts of the body that need them most. In between the two layers is where fatty streaks accumulate. Theyre wedged between and among the wallpaper and smooth muscle cells. Fatty streaks themselves are not simply globs of greaserather, they are cells full of grease. Most are a type of immune cell called macrophages. Macrophages usually scavenge the blood for foreign or unwanted parts, but sometimes they bloat themselves on fats or lipids, and lie down along the walls of the arteries. A fatty streak that turns into a plaque accumulates more and more lipid-filled macrophages. Nobody really knows what causes this stockpiling. 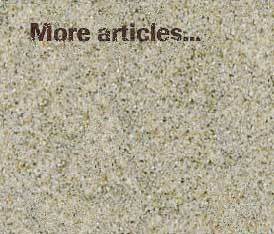 But however the stockpiling starts off, the bodys natural reaction to the plaque may heighten the problem. The vessel doesnt really want the plaque to be there, says Victor Fingar, a professor of surgery at the University of Louisville School of Medicine. The growing plaque likely triggers the alarm system of the body, a natural SOS reaction to anything injured or foreign. A rescue team from the immune system rallies to the growing lump, and stays there. More macrophages come careening in and gather at the plaque. Smooth muscle cells divide and abound. And within and between these living cells pile up byproducts of human building material: bits of cell membranes, proteins, dead cell remains, and free-floating lipids. How texaphyrins end up in the plaque as well is debatable. The theory at Pharmacyclics is that greasy texaphyrins hitch a ride on fatty traveling proteins. Macrophages eat the fatty proteins, along with their hitching greasy texaphyrins, and amass at the plaque. Yet another theory for why texaphyrins accumulate in plaques is that diseased tissue drains poorly. The plaque grows readily, picking up cells and fats from the blood, but has no system for taking out the refuse. In the end, about nine times as many texaphyrins gather in the fatty plaque as in the vessel wall. Inside the plaque, texaphyrin doesnt do much by itself, as far as scientists know so far. The clinical trials will help find any unwanted side-effects of the drug, but ideally, the drug accumulates in just the right spot and waits for just the right type of light, without causing any other problems. The earliest photosensitizers, including Photofrin, arent so harmless. For six weeks, sun or bright light activates the drug, making it painful to be in the light. Doctors recommend hats, gloves, sunglasses, and dark rooms. Scientists at Pharmacyclics arent sure yet what caused the tingling reaction that a minority of the patients in phase I experienced. They dont think it was an allergic or a photosensitive reaction, but they arent sure what it was, and dont know why it can last from hours to weeks. Though it does not make the drug unsafe, it highlights all that is still mysterious about texaphyrin. When Cummings arrives 24 hours after receiving the drug for his light therapy, the texaphyrin now sits in the lumps of his veins. Razavi makes a short incision in the femoral artery high on Cummings leg. He performs a standard angioplasty by inserting a small balloon into the clogged leg artery and inflating the balloon to expand the narrow path. He then inserts a thin fiber-optic line inside the balloon. He turns on the laser and the plaque glows red. On impact of red light, the texaphyrin molecules inside the plaque change. Razavi, in essence, charges the texaphyrins with light. He shoots energy into the plaque that only the texaphyrins, with their unique large round ring structure, can catch. Even in this excited state, though, the texaphyrin itself doesnt damage the plaque. Inside the middle of a plaque, the texaphyrin is surrounded by oxygen. Charged texaphyrin transfers its energy by exciting a neighboring oxygen molecule into a frenzied state called singlet oxygen. 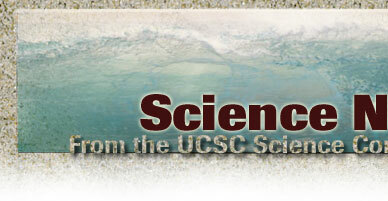 Its an extremely reactive form of oxygen, says James Collman, a chemist at Stanford. It really tears the hell out of tissue around it. Singlet oxygen generates free radicals, which are just what they sound like: wild and destructive. Usually, free radicals are not helpful. 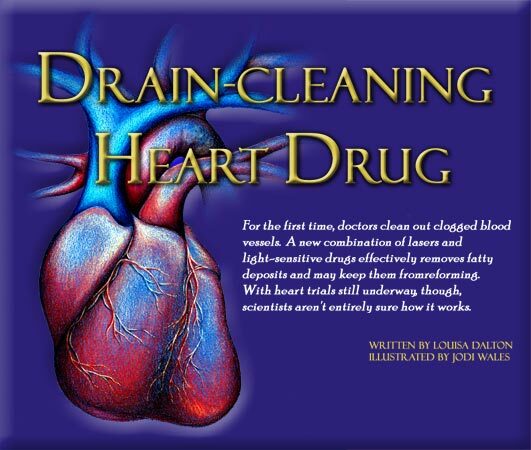 Doctors recommend a heart-healthy diet that quenches free radicals just because they are so destructive. But texaphyrins take advantage of free radicals by forming them only inside the cells patients want to be rid of�cancer and plaque cells. Singlet oxygens indiscriminate destruction occurs within the plaque cells and leaves the other cells alone. The vessel remains unhurt. Pharmacyclics can show striking before and after pictures, the first of globby, fat-filled tissue inside the vessel wall, and the second of an immaculately clean, completely intact vessel. The beauty of this drug is that the damage will only be done in the immediate area. Its a very targeted approach, says trial director Stanley Rockson. Rockson explains that there are two types of cell death. The first type of death is caused by injury. Its a messy death, with lots of debris, and cells that are not killed outright must heal. On the other hand, theres death by apoptosis, or programmed cell death. Apoptosis is what our body uses to get rid of cells. It is a much more desirable form of cell disappearance, says Rockson. Apoptosis is somewhat similar to turning off the computer with the shut-down command instead of pulling the plug. Everything closes down in its proper order. The stages of apoptosis are unmistakable. Little droplets of membrane break off on their own. Clear, blank areas form inside the cell. The cell stops making energy. It cuts its DNA into very small pieces. Cell division and other normal functions cease. Apoptosis is a quiet and ordered surrender. Rockson hypothesizes that the plaque disappears so cleanly because of apoptosis. The cells of the plaque surrender in response to the raging singlet oxygen within them, and quietly dispose of themselves. Scientists at Pharmacyclics hope that apoptosis of the plaque cells is the end of the story. They know that the current problem with most therapies is that the vessel continues to narrow, yet they believe that texaphyrins halt the underlying narrowing process. To fight chronic shrinking after standard angioplasty, cardiologists routinely prop the vessel open with a small mesh tube, called a stent, which looks like a little rolled-up piece of window screen. It helps, but even with the stent, the body continues to trigger its alarm system to fix the injured site. 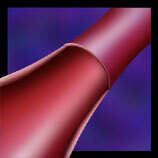 Smooth muscle cells divide and grow and start to cover the tube, like scar tissue. Its a natural healing response thats just over-exuberant, says Tom Ports, the director of interventional cardiology at the University of California, San Francisco. It leads to re-narrowing, the bane of the cardiologist. Pharmacyclics is working on the assumption that macrophages cause both the initial plaque build-up and the re-narrowing after therapy. A physician at Pharmacyclics, Anthony Chou, said the texaphyrin targets the plaque cells that are part of the bodys SOS reaction. By getting rid of the plaque and calming the bodys alarm, the texaphyrins show promise of keeping vessels open. Besides, Mason says, there are about a half-dozen other therapies also being tested to treat vessel renarrowing. Some coat the mesh tube with a growth-inhibiting hormone. Others irradiate the vessels after angioplasty. This is possibly just an also-ran, he says. But Ports at the University of California, San Francisco, is more optimistic. Of the current treatments for renarrowing, he says, none of them are ideal. Ports thinks the science behind photoangioplasty is intriguing. It could well work out, he says. Nobody can say for sure, though, until they see the results of the phase II and phase III clinical trials. Cummings has more riding on the results than most. If the texaphyrin worked, perhaps he wont have to go back for angioplasty again. In January 2001, Cummings went in for his 6-month follow-up. They treated three areas, he says. Of the three, one was showing signs of not doing well. Two were pretty good. The main thing, he says, is that he has no leg pain, which would mean the vessels had begun to close in again. Cummings says he would do it again, even with a month of tingling fingertips, if it really does keep the fat off his arteries.